Sara Alonso Gómez is curator and art critic on contemporary art, with a Degree on Art History and a Master on Latin-American contemporary art both from the University of Havana (Cuba), and a Master on Curating Contemporary Art from Paris-Sorbonne (France). As member of the Cuban Writers and Artists’ Union (UNEAC), she focuses on the contemporary art challenges in its trans-disciplinary nature and process. 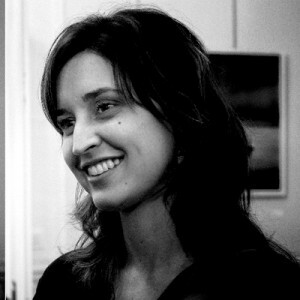 Having worked at Ludwig Foundation of Cuba (2007-2012) and at Service de Nouveaux Médias at Centre Pompidou in Paris (2013), she works as independent curator today for Uprising Art, platform for the promotion of the Caribbean Contemporary Art and for artUI in Belgium for developing trans-global artistic projects. Her publications can be found in specialized catalogues and magazines. You can read her concept for ‘The Importance of Being’ here.